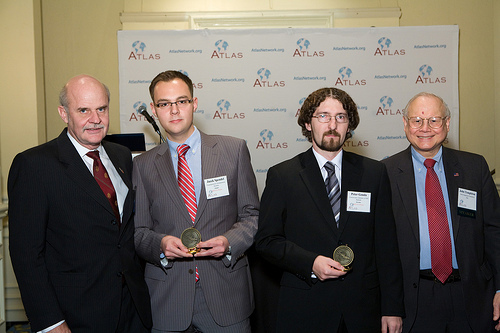 The Atlas Economic Research Foundation has published the results of the Templeton Freedom Awards. One of the laureates of this prestigious prize for 2009 is the Conservative Institute of M. R. Štefánik, awarded for the implementation of the Conservative Economic Quarterly Lecture Series (CEQLS). On October 19th, 2009, the U.S.-seated Atlas Economic Research Foundation has published the results the Templeton Freedom Awards. These are awarded annually to think-tanks for their excellence in promoting individual liberty. From among more than 130 applications of 47 countries from all over the world, the independent judges picked 16 winners in 8 categories. The Slovak Conservative Institute of M. R. Štefánik (CI) received the prize awarded to established institutes in the Ethics and Values category. The award went to CI for the implementation of a cycle of economic lectures called the Conservative Economic Quarterly Lecture Series (CEQLS). The awarded CEQLS cycle organized by CI takes place quarterly as long as from 2005. It consists from visits of well-know thinkers, who give lectures in Bratislava related to topics of economic thought and the hot issues within the context of the economics, ethics and liberty. Within this program, CI has so far organized 16 lectures by outstanding guests including the author of Chilean pension reform Mr. José Piñera, well-known French Professor of Economics and former president of the Mont Pelerin Society, Pascal Salin, an outstanding U.S. economist and the Chairman Emeritus of the CATO Institute Mr. William Niskanen, U. S. philosopher, theologian and political scientist Mr. Michael Novak of the American Enterprise Institute, as well as the Spanish supporter of free banking system with a 100-percent reserve requirements and Professor of Economics Mr. Jesús Huerta de Soto. Today, CI carries out the CEQLS also thanks to Penta Investments as the main partner. CI co-operates on this project also with the Permanent Conference of Civic Institute (SKOI), while TREND, .týždeň (weekly journals) and SITA (a press agency) are the medial partners. 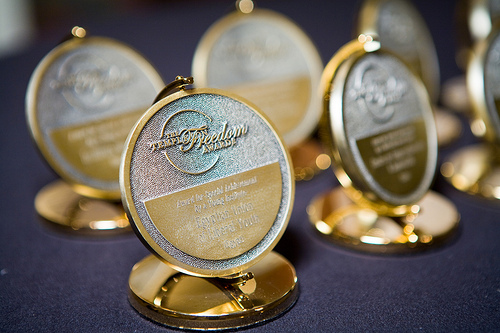 The aim of the Templeton Freedom Awards is to praise the work of independent think-tanks that contribute significantly to the understanding and promoting of liberty in the world. They are Atlas Economic Research Foundation has named the program after the late philanthropist, Sir John Templeton, and has launched it since 2003. 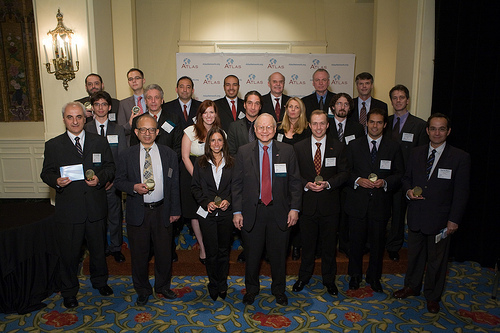 The 2009 award ceremony will take place in Washington, D.C., on November 9th, 2009. This is the day of 20th Anniversary of the fall of Berlin Wall, which became the symbol of changes and the return of liberty into the countries of the former communist bloc. Mr. Peter Gonda, the CI economist, will take over the award in behalf of CI. At the same time, Mr. Gonda is the CEQLS project coordinator.